The University of Waterloo is one of several places where AV testing is happening in Ontario. 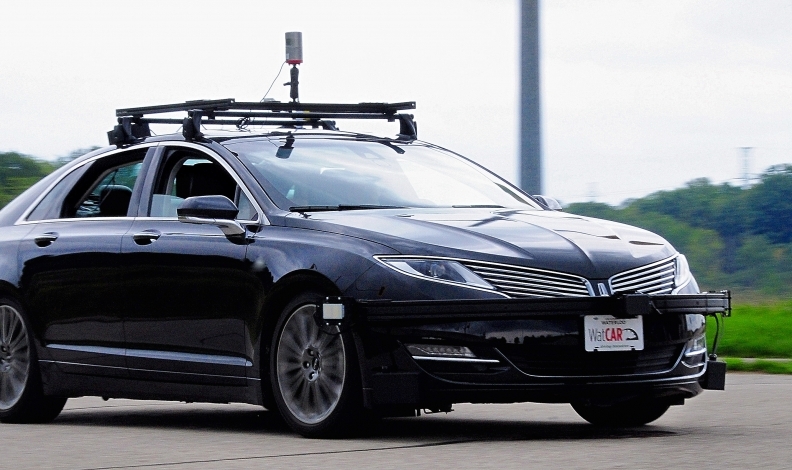 Ontario has designated six sites for autonomous vehicle development as it looks to its regional specialties to boost the province's position in the global AV race. Locations include Windsor-London (cybersecurity, cross-border technologies), Waterloo (high-definition mapping, localization), Hamilton (multimodal and integrated mobility), Toronto (artificial intelligence), Durham (human-machine interface) and Ottawa (networks and communications). Each will receive up to $5 million from Ontario’s Autonomous Vehicle Innovation Network (AVIN), a five-year, $80-million provincial effort to encourage connected and autonomous vehicle development. According to the Ontario Centres of Excellence, which runs the project, the creation of the sites will help businesses develop and test new technologies, access specialized equipment and obtain technical and business advice. But the designations are also meant to showcase Ontario's co-ordinated AV strategy to the world. "A lot of the questions that we've received are related to these kind of regional nodes and 'where can we go to do different things?' This helps us to better that market that globally," Raed Kadri, OCE's director of automotive technology, said in an interview Wednesday. The AVIN project was launched in November 2017 to build on Ontario's strengths in auto manufacturing and supply and information technology, and, the province hopes, to attract more of the billions being spent on driverless vehicles and related areas. A report released by AVIN in March noted that Ontario is home to assembly plants and research centres owned by five top automakers. There are also more than 700 parts manufacturers, including top global suppliers, in Ontario, plus 500 tool, die and mould makers. Each year, 40,000 students graduate in fields of science, technology, engineering and mathematics from the province's 44 colleges and universities. And with more than 20,000 IT companies, Ontario is the second largest IT region in North America after Silicon Valley. Kadri said the process to identify regional development sites brought home the broad scope of AV work taking place in the province. "We do see areas where there's overlap, but good overlap," he added. "Overlap not in a sense that it's duplication, but more in a sense where there's opportunity for collaboration across the regions."